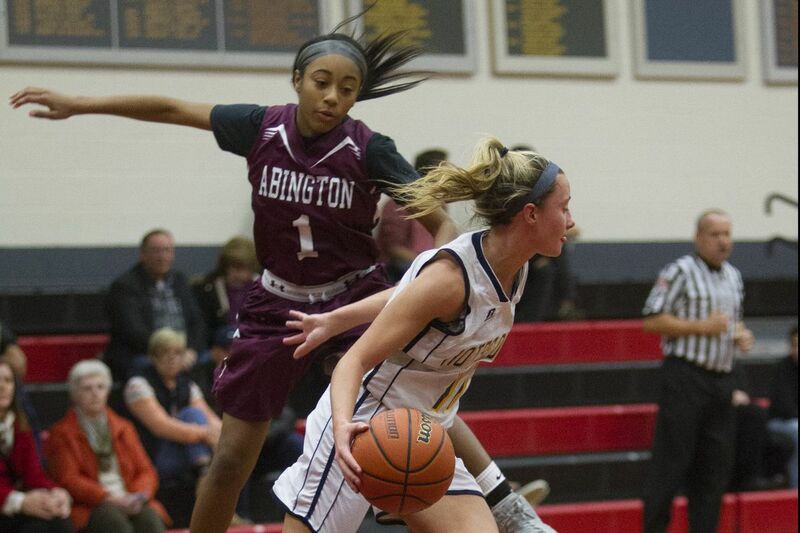 Notre Dame’s Mandy McGurk (11) drives past Abington’s Jordyn Allen (1) in a nonleague contest. Statistics through Tuesday. Minimum of 10 games. Perkiomen Valley senior Megan Jonassen. Archbishop Wood’s Katie May (24).